The Kanwad Mela is at its peak and devotees of Lord Shiva, clad in saffron outfits, can be seen in every nook and corner of Haridwar and Rishikesh. The Kanwad Mela is at its peak and devotees of Lord Shiva, clad in saffron outfits, can be seen in every nook and corner of Haridwar and Rishikesh. Due to the heavy rush of tourists, the Uttarakhand Police is busy providing round-the-clock security and rescuing pilgrims in distress. Heavy rainfall in the hill state has led to a rise in the water level of the Ganges. 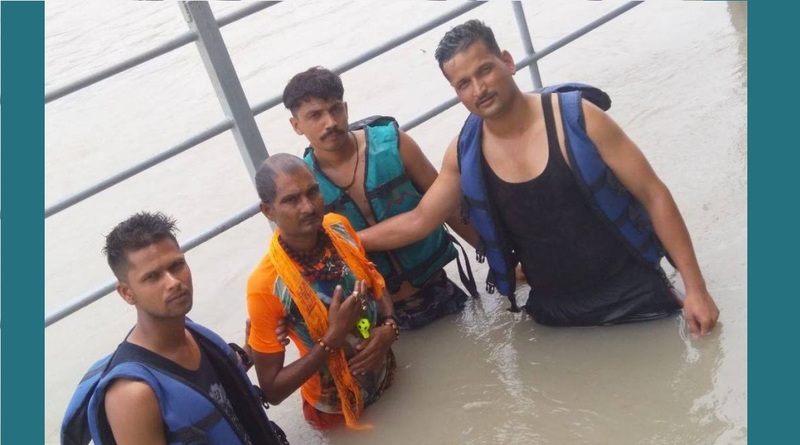 In the past nine days, the police saved 56 pilgrims from drowning. Many of the videos of Uttarakhand Police team saving drowning Kanwadias have gone viral on social media. Over 45 lakh persons have so far watched the videos shared by the police on its official Facebook page – facebook.com/uttarakhandpolice. A large number of devotees from Uttar Pradesh, Haryana, Rajasthan, Punjab and Bihar visit Haridwar and Rishikesh to worship Lord Shiva annually during the month of ‘Savan’ – the monsoon month of July-August. The towns of Haridwar and Rishikesh have come alive with the chants of ‘Bom Bhole’ and Har Har Mahadev’. Devotees on trucks, jeeps, three-wheeler, two-wheeler, etc can be seen passing through the streets in the city. Visitors are applauding the State Disaster Response Force (SDRF) and water police for doing an exemplary work this season. The most popular of all is a video of 2 August in which a policeman is seen jumping in the river to save the life of a Kanwadia. The video has been seen by over 46,000 people online. The Uttarakhand Police is thrilled with the public response which it is getting through social media.